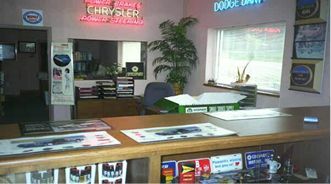 Here you will find a huge selection of NOS Mopar parts for your Chrysler, Plymouth, or Dodge restoration. We also have over 100,000 parts available on our website at www.bradsnosparts.com. Due to the nature of these hard to get parts many items offered in our store are "one-of, " and quantities are limited on many items. Price and availability are subject to change without notice. Check this store on a regular basis for new additions. Please Note: All orders placed AFTER 12 noon EST will not be processed until the next business day. If Express Delivery is needed, it would be best to call to verify order.